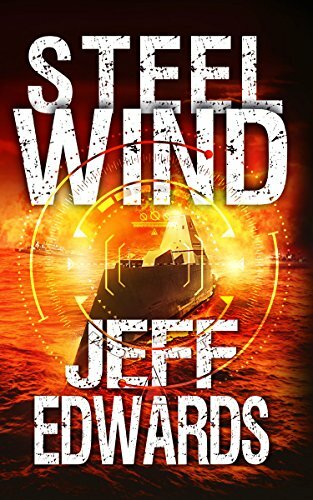 Enjoy Jeff Edwards’s Books? Tell us Why and Win a Free Book! What if North Korea’s sudden turn towards peace is a cunning act of misdirection? A routine Coast Guard inspection of a cargo ship in the Caribbean turns into a vicious firefight with unidentified Asian commandos. The second attempt to board the vessel ends with a nuclear detonation. North Korea has been smuggling short and intermediate-range missiles into Cuba. An unknown number of nuclear warheads are hidden less than 100 miles from the tip of Florida. Every American city east of San Antonio is in the target zone. Scrambling to stop the flow of weapons to Cuba, the president orders the Atlantic Fleet to surround the island, cutting off all access. It’s the Cuban Missile Crisis all over again, but this time there won’t be a diplomatic resolution. The North Koreans have developed a secret weapon that rips through the blockade with ease, leaving burning ships and floating bodies in its wake. Against this unimagined threat stand a small detachment of United States Marines and a cutting-edge destroyer that’s never been tested in combat.